Usually when a celebrity passes my reaction is one of removed acknowledgement of the sadness of the situation before moving on. Yet learning of the death of Robin Williams was different. I am guessing I am not alone when I say that my reaction to this tragic loss was personal and heart breaking. For people my age, children of the nineties, Williams was a family fixture on our television screens. From the loveable, energetic voice of Genie from Aladdin, to the cross-dressing Mrs Doubtfire shortly after. Then came the comedic adventure flicks Hook and Jumanji, followed by his academy award winning performance in Good Will Hunting. As a teacher, there’s always some inspiration to be found in his performance as the charismatic Mr Keating in Dead Poets Society, a film that shot him to prominence in 1989. 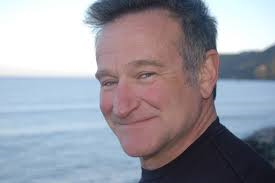 Williams had that remarkable ability as an actor to make you laugh in one scene, to being emotionally moved in the next. Patch Adams was such an example, where his role as the energetic doctor would have you laughing in one scene, and then near tears shortly after. Even some of his more maligned films like Bicentennial Man had moments such as this. Williams was certainly one of a kind – and the world is lesser for his loss. So growing up watching his films and seeing his jokes, and being so moved by many of his great performances, I have found this news so personally saddening that it’s difficult to comprehend how the death of a celebrity who I never met could move me so emotionally – but I suppose that was the impact he left on so many. The rare talent of one can leave its mark on hearts from every corner of the globe. I hope he knew how much he was loved. The most difficult thing to process in all of this is the knowledge that a man who could make so many others around him happy was haunted on the inside. Behind all the laughter there was a very real battle with his personal demons; a battle within a man who could be loved by so many except himself. It’s a baffling concept, depression. It does not discriminate between rich and poor, famous or hermit, extravert or introvert. For someone who attempts to apply logic to all situations, the only conclusion I can draw is that there is no logic to the illness. It is something beyond my understanding, except to acknowledge that it is very real and unfortunately, very powerful. It’s sad to know that happiness eluded a man like Robin Williams throughout his life, yet there’s absolutely no doubt that his time on this earth certainly added something to ours.